Spherical / Cylindrical Graduated Feed Vessels for controlled addition of Liquid Reactants. The standard overhead glass assemblies on GLR’s (Glass Lined Reactors) are designed for reactions under reflux and distillation. Primary Condenser – Coil Type Glass Heat Exchanger or Shell & Tube Type Heat Exchanger. 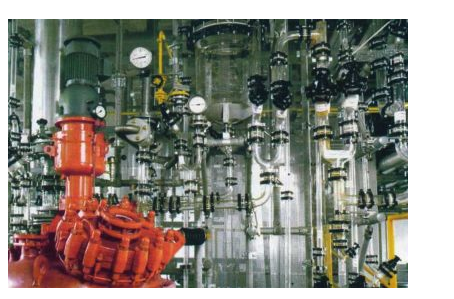 Pressure Equalisation ensured by process pipeline design being to maintain complete hydraulic integrity and single point application of vacuum over the complete system. Various options for which our system can be adapted are shown in figure 1, 2, 3, 4. The company was established in 1997 by managing director Mr. Dharmendra Patel.Sigma scientific glass pvt. ltd. is the leading ISO 9001:2000 certified manufacturer company engaged in manufacturing of borosilicate glass 3.3 industrial glass equipment for chemical process plants & pilot plants in India since more than one decade. Sigma is committed to constant innovation and development of new products to meet your increasing demands and requirements with our capabilities of designing, manufacturing, Installation & commissioning.